About a month ago, I was at the gym when tragedy struck. We had a fellow member (and friend) collapse on the bike. Myself and others at the gym immediately jumped to his aid — performing CPR, administering an AED, calling 911, and getting the area ready for the paramedics. Although we were able to keep him alive until help arrived, he later passed at the hospital. I don’t tell you this to scare you. But, make no mistake — it was really scary, and horrible, and I hope that you never have to go through it. I tell you this to show you that tragedy can really happen to anyone, anywhere — including at the gym. And, from personal experience, believe me: you’ll want to be as prepared as you can be, in case it ever happens when you’re there. 1. Take a CPR/AED course. This one is a given. For those of you who’ve never done it, rest assured, it’s so easy to learn and get certified. They’ve really made CPR super simple to do (and remember how to do), and ANYONE can learn how to work an AED. With just a little training (even some online! ), you can seriously save a life. Find and register for a class here. 2. Know where your gym’s AED is. Does your gym have an AED? (A lot of them do these days.) If so, where is it? Locate it, so that if an emergency happens — even if you’re not AED trained — you can quickly give it to someone who is. And, if your gym doesn’t have one, ask that they get one. And keep asking until it happens. While you’re at it, ask the management if they have an emergency plan. 3. Know your gym’s address — or at least cross streets. 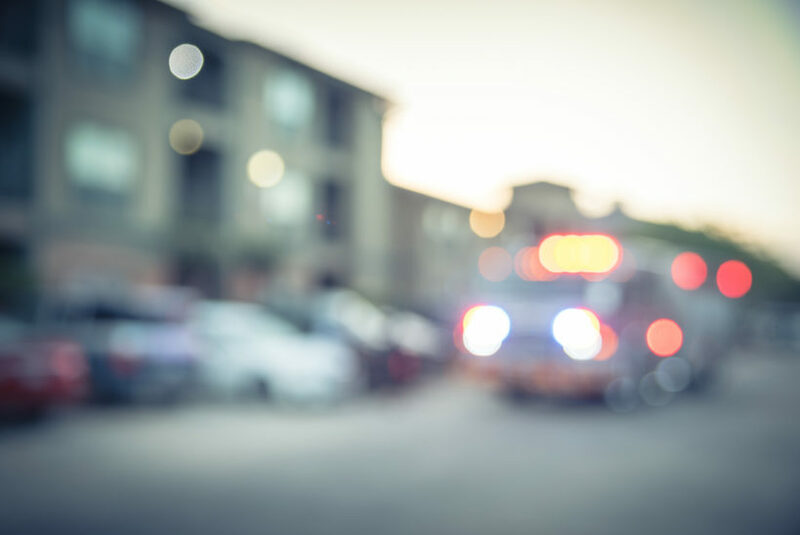 If a tragic event were to occur, you might just be the one who needs to call 911 immediately, which means you’ll need to give accurate information to the dispatch. Cell phones are great and all, but sometimes the location-tracking isn’t 100 percent. Be sure to give them the exact address and cross streets of your location. If possible, it’s also good to go outside and direct them in to the scene. 4. Be aware of other ways to help. Besides performing CPR, using an AED and calling 911, there are lots of other little things you can do in real time or have others do to be of assistance: clear the area so that first responders can easily get to the person, take children out of the area, send good vibes/pray — and simply, give those working on the person space to do what they need to do. 5. Have in-case-of-emergency (ICE) info in your phone. Because you never know. You might be one having the emergency — and you’ll want it to be easy to notify your emergency contact. Here’s how to add ICE info to your phone. Thank you, Jenn, for sharing these important tips. It’s been a long time since I last took a CPR class. I know the guidelines have changed. I have a road ID bracelet, but I don’t wear it to the gym, so programming ICE into my phone is a good idea as well. You are SO welcome. 💙💙💙 Thanks for reading.